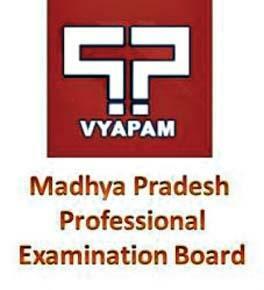 MadhyaPradesh Professional Examination board (VYAPAM) invites application for the position of 148 assistant Seed Certification Officer, Assistant Statistical Officer, Assistant Chemist and various vacancies through Group – 1 Combined post – Graduate level, Assistant seed certification officer cadre recruitment test. Qualification: Candidates should possess Post Graduation in Plant Breeding and Genetics. Qualification: Candidates should possess Post Graduation in Statics / Mathematics / Economics. Selection Procedure: The selection of the candidates will be on the basis of written examination and personal interview Conducted by VYAPAM. i) By 5 years for candidates belonging to ST community. ii) By 5 years for candidates belonging to SC community. iii) By 3 years for candidates belonging to OBC community. Application fee: Candidates are required to pay application fee Rs.500/- for general categories candidates and Rs.250/- for schedule caste categories candidates (SC) / schedule tribe categories candidates (ST) and other backward class categories candidates (OBC) of MadhyaPradesh and Rs.70/- for MadhyaPradesh online portal fee for all categories candidates. Fee can be pay through MadhyaPradesh online (Kiosk) /Net banking /Credit cards /Credit cards. How to apply: Candidates may apply online through official website of MadhyaPradesh Professional examination board (VYAPAM) at www.mponline.gov.in from 28th January 2016 to 24th February 2016.